Rishikesh is known as adventure sports capital of India and one of the most exciting towns and main pilgrimage site in Uttarakhand, Located in the foothills of the Himalayas. The city of Rishikesh is also famous as Yoga Capital of the World and regarded as one of the holiest places to Hindus. 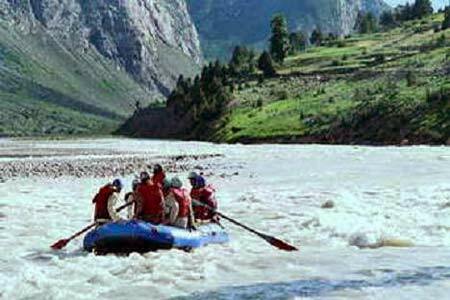 White Water River rafting in Rishikesh is an extremely adventurous activity. Kaudiyala nearby Rishikesh and surrounded by dense forests is a popular white river rafting destination in Rishikesh. Giant Swing is an alternative of Bungee Jumping from one of the India’s highest Bungee jumping platform. Rishikesh Giant Swing offers the most thrilling experience. Zipline or aerial runway is actually a form of transportation in mountainous countries. In Rishikesh, Zip lining has become a popular outdoors activity over Ganga river valley. Air Safari offers the aerial view of surrounded forest,scenic beauty,rivers and mountains. Paragliding, Hot Air Ballooning and Air Safari are three most popular Aerosports activities to do in Rishikesh. Himalayan town of Rishikesh is hub of adventure activities and Rock climbing is one of them. The sport of rock climbing will test your stamina and strength. Flying Fox is same as Zipline but usually done by three persons at a time. Enjoy Flying Fox activities in Rishikesh through a hard wire fixed from one end of the valley to the other. Cliff Jumping is one of the youngest adventures sports in Rishikesh, along the banks of River Ganga. You have to go out there and jump off the cliff into a river, Of course with life jacket. 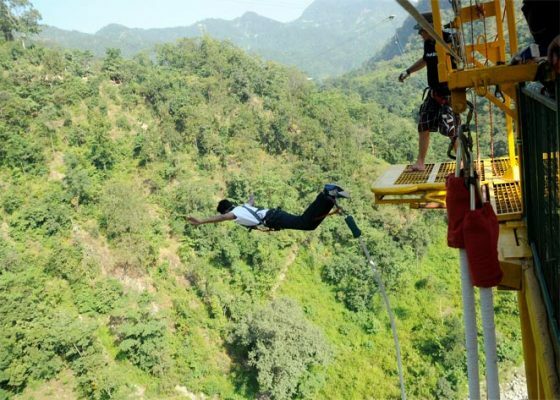 Valley Crossing is no different then Flying Fox and Zipline, In Valley Crossing you will be tied to fixed hard wire and cross the beautiful valleys of Himalayas in Rishikesh. Mountain Biking is an activity of travelling the mountains, riding bicycles off road with speed. It has been a popular sport which requires lot of strength,focus and stamina. Waterfall rappelling or just Rappelling is the most exciting and thrilling activities to do in Rishikesh. In this dangerous and daring act of rappelling, you will come down through a rocky hill or waterfall. Zorbing is a ball rolling recreation activity or sport of rolling downhill inside an orb. The Garhwal Himalayas of Rishikesh is one of the famous location for Zorbing in India. The outdoor recreational activity of Camping involves overnight stays in the jungle, riverbed, national and state parks and wilderness areas. Camping in Rishikesh has become immensely popular with tour package including riverside camping and river Rafting. Bodysurfing activity where the user have to sail or surf through the water of Ganga river with wearing life jackets. Ride a wave without using any surf board and comes with the rafting in Rishikesh. Trekking in Himalayas of Rishikesh is a unique experience. There are list of popular trekking routes such as Kunjapuri trek,Kuari Pass Trek,Water Falls Trekking,Roopkund Trek and Neelkanth Mahadev Temple Trekking. Hiking up the mountains of Himalayas in Rishikesh is an excellent way to lift your spirits. The foothills of the Shivalik range in Rishikesh offers perfect platform for exciting activities of rappelling, trekking and hiking. Nature Walk or Jungle Walk in Rishikesh along the beautiful river Ganges offers the calm and serene beauty of Rishikesh. With Nature Walk in Rishikesh, one can enjoy the beauty of nature and surroundings of Himalayas. Kayaking and Canoeing are two most popular water sports in the Holy Ganga river. The adventure activity of kayaking includes a rapids using a double bladed kayak. Canoeing is a recreational boating activity with a single bladed paddle, Canoeing and Kayaking are the most popular water sports in Rishikesh. Canoeing can be done on lakes, rivers, ponds and streams. River Crossing is similar like valley crossing through a zipline. You can enjoy crossing these raging river waters just above the river level. Paintball game has been recently introduced in Rishikesh which involves elimination of opponents by hitting them with paintballs. The outdoor adventure activity required helmets,safety suits and paintball. Tree Jumaring involves climbing up a treep with rope via Jumars. This activity needs balancing, focus and popular among travelers,especially among children and climbers. Beach Volleyball in Rishikesh? you read it correctly, The sandy surface at the banks of the river Ganges offers the plateform for Beach Volleyball. You can play the beach volley ball close to the campsite on the sandy river beach of Ganges. Hot Air balloon consisting of a big air bag which contains heated air and carries passengers over the valley. Hot Air Ballooning in Rishikesh offers the panoramic view of Shivalik range. Angling is the most popular outdoor activity to do in Rishikesh. Rishikesh offers good fishing sites and paradise for nature lovers, anglers and adventure. Paragliding is most simple form of fly and one of the must do adventure activity in Rishikesh. Kunjapuri is an ideal location for paragliding in Rishikesh along with Ranikhet at a distance of 120 kms. 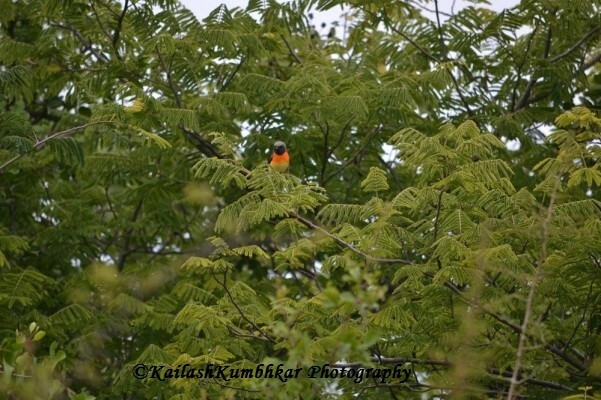 Rishikesh is a paradise for bird watching in India, surrounded by dense forest, rivers and water falls. Here is the list of birds spotted around Rishikesh Great Indian Hornbill,Kingfisher,Himalayan Bulbul, Himalayan Woodpecker and Breasted Scimitar Babbler. 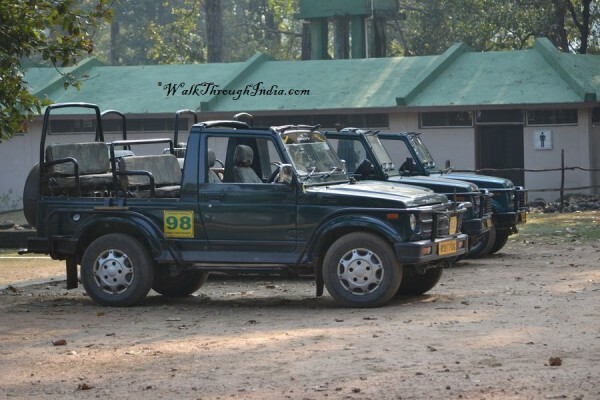 Jungle Safari in Rishikesh at Rajaji National Park, The most famous park in Uttarakhand for sightings of Asian Elephants,Himalayan black bear,Leopard,King Cobra and Tigers. Chilla Wildlife Sanctuary and Rajaji National Park of Uttarakhand is located at the foothills of the Himalayas and home to vivacious wildlife. Image is from Kanha National Park.